The little black dress is one garment a woman can't do without. Ready for any occasion, the little black dress never looks out of style and would be your BFF for many years to come. 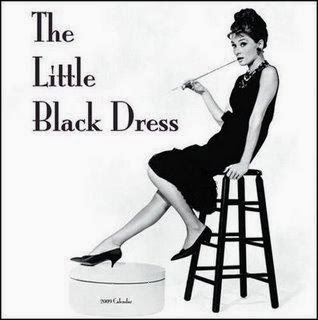 The "little black dress" is considered essential to a complete wardrobe by many women and fashion observers, who believes its a rule of fashion that every woman should own a simple, elegant black dress that can be dressed up or down depending on the occasion. For example, worn with a jacket and pumps for the office or with more jewelry and accessories for evening. When a woman wears a little black dress, she is telling the world that she is worldly, elegant, and stylish with just a hint of glamour and mystery. Because it is meant to be a staple of the wardrobe for number of years, the style of the little black dress ideally should be as simple as possible.